“Nice framing!” is always useful as a backhanded compliment when you can’t think of anything encouraging to say about the art itself. 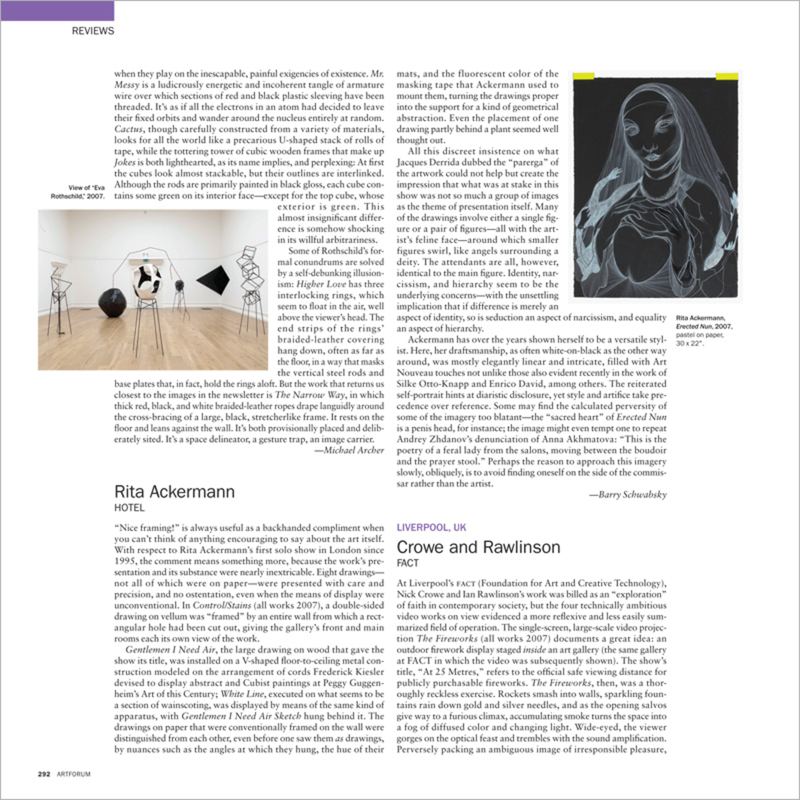 With respect to Rita Ackermann’s first solo show in London since 1995, the comment means something more, because the work’s presentation and its substance were nearly inextricable. Eight drawingsnot all of which were on paperwere presented with care and precision, and no ostentation, even when the means of display were unconventional. In Control/Stains (all works 2007), a double-sided drawing on vellum was “framed” by an entire wall from which a rectangular hole had been cut out, giving the gallery’s front and main rooms each its own view of the work.